Spinx is one of South Carolina’s leading convenience store chains, with more than 80 stores. They needed to update their website design to feature new high-end food options while improving navigation. The Spinx website needed to have more going on below the surface as well. One of the biggest pain points was the customer comments system, which was clunky to use and manage. Spinx needed an improvement in order to respond to customer needs like it wanted. Worthwhile created an innovative new design for the Spinx website featuring a sophisticated color scheme and font set. 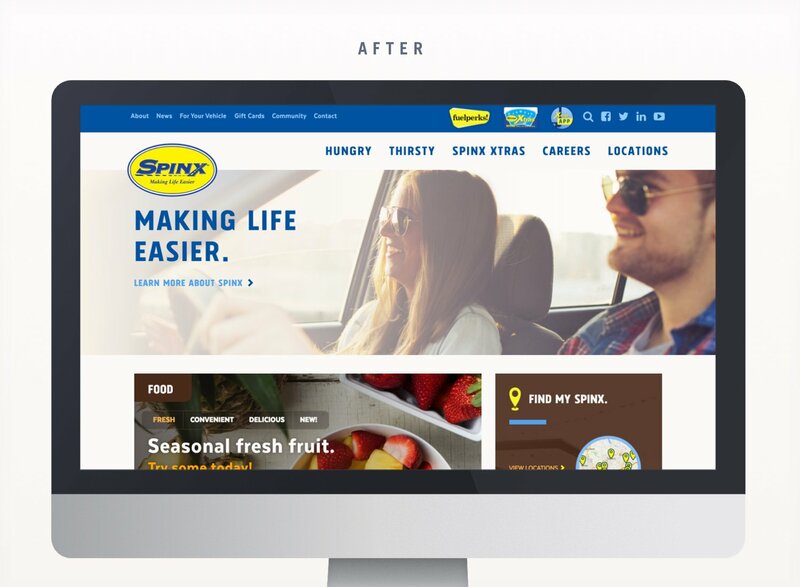 This visual inventory upgraded Spinx’s brand perception, helping the company demonstrate to customers how they were providing better and healthier food options. These elements were so effective that Spinx integrated them into other marketing efforts, including store signage and billboards. 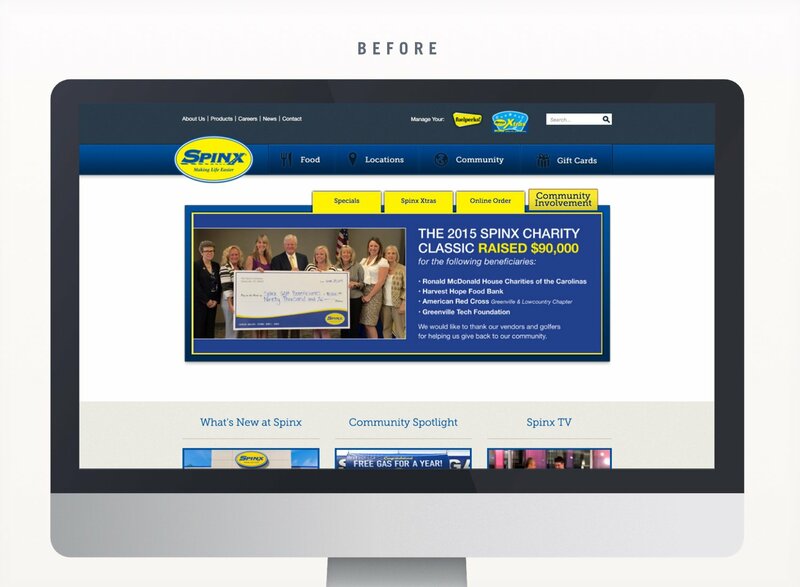 Spinx wanted its new website not just to look better, but also to be easier to navigate. So Worthwhile streamlined the navigation, bringing food to the forefront and making the careers section more robust and helpful. The result is a better user experience, whether a site visitor wants to find a location, choose a fresh-on-the-go meal, or apply for a job. One of Spinx’s biggest concerns was improving the customer comment system so it could more quickly serve customers who used the contact form for help with questions or problems. We replaced an antiquated Joomla system and created a new comment management using the power of the Django framework.